The M8.0 Wenchuan Earthquake occurred in China on May 12, 2008, killing over 69,000 people and displacing millions from their homes. This was one of the most catastrophic natural disasters on record. 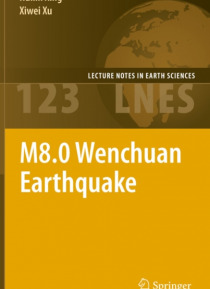 This book includes 5 chapters describing the tectonic setting and historical earthquakes around the Chuan-Dian region, the nucleation of the Wenchuan earthquake, occurrence and aftershocks. The field … observations of earthquake induced surface fractures and building damage, form a major and special part of this book and include a large number of digital photos with accompanying explanantions.